Child Injured in a School Bus Crash: What to Do | Branch & DhillonBranch & Dhillon, P.C. A lawsuit brought against the school district is the least likely to be successful. Public school districts are government agencies, and it is very hard to bring or win a case against a government agency. failed to make sure that the driver’s route was safe for travel. Unfortunately, proving one or more of these things can be difficult. It takes a skilled personal injury attorney to make sure that school districts are held responsible for their negligence or willful disregard for your child’s safety. If the school bus is privately owned – such as by a contracted agency or a private school – it may be easier to prosecute the responsible entity for one of the above acts of negligent or willful disregard for safety. began driving before your child was properly seated on the bus. These are just a few of the cases in which the bus driver may be found liable for the accident. Sometimes, the driver and district are not at fault or are only partially at fault for the accident. If the bus had faulty parts which caused the accident, the manufacturer of those parts may be found responsible for the school bus accident. Of course, if these problems should have been found during annual inspections, the school district may also be found to be partially at fault. In some cases, the accident may be caused by another driver. Car accidents are all too common, and sometimes a negligent or aggressive driver will end up hitting a school bus. In these cases, the driver that caused the crash will usually be the one held liable for the school bus accident. 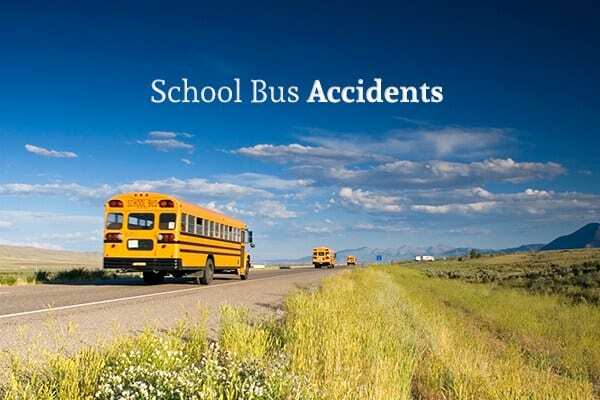 If your child was hurt or killed in a school bus accident, contact the law offices of Branch & Dhillon, P.C. immediately. You often have a limited amount of time to bring litigation against a government agency or employee, so it is important that you act fast. Call us today to schedule your free consultation.